Home » Motivation » HOW TO MOTIVATE YOURSELF WHENEVER YOU FEEL LIKE QUITTING. HOW TO MOTIVATE YOURSELF WHENEVER YOU FEEL LIKE QUITTING. Why do people quit? Is it because of fear? Doubts or ignorance? In today’s post, we will look at how to motivate yourself whenever you feel like quitting. If you don’t feel like quitting two times in a week, then you are not working hard enough. You will always want to quit but don’t ever quit. I want to share with you what I used to do whenever I feel like quitting and I hope to get you pumped up again if you’d already feel like giving up on your business. 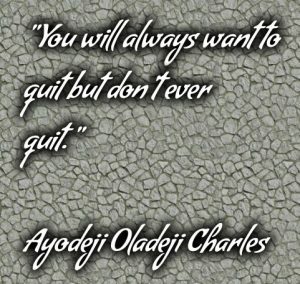 If you are going to build a business, or work as an entrepreneur or be your own boss, you are going to feel like quitting a lot. DIFFERENCES BETWEEN PEOPLE THAT QUITS AND PEOPLE THAT THINKS ABOUT QUITTING. If you are thinking about quitting, that’s normal. 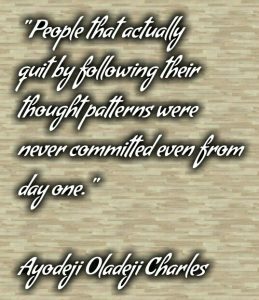 People that actually quit by following their thought patterns were never committed even from day one. So, if you are not committed, you are going to quit. 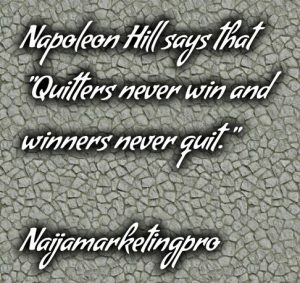 If you are committed to your goals, dreams, business and family, you will never quit although, you may think about quitting but your commitment will keep you pumped up again. Thinking about quitting and quitting ultimately are two different things. It doesn’t matter what thought is running through your head now, you need to get committed. HOW DO YOU GET COMMITTED? As an entrepreneur, you are your own boss. The fact that we, as entrepreneurs don’t have a boss is a blessing and it’s also a curse. As your own boss, you do your thing your own way, nobody anywhere will tell you what to do at any point in time but you will need to get up and make things happen as you want it be. If you do it well, there’s no praise coming from anywhere and we as human beings, we love praises. 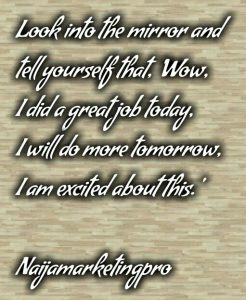 We love to be praised after a quite excellently done job. Now, how do you bridge this praise gap? You will be the one person to celebrate yourself. Another cool thing you can do is to look for support and join a mastermind group that will celebrate you each time you did a good job or get a pay. 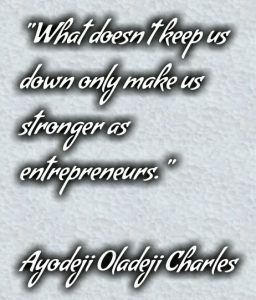 What doesn’t keep us down only make us stronger as entrepreneurs. To want to quit as said earlier on is normal. The only cure to not quitting is action, action in your business will kill every thoughts about quitting. 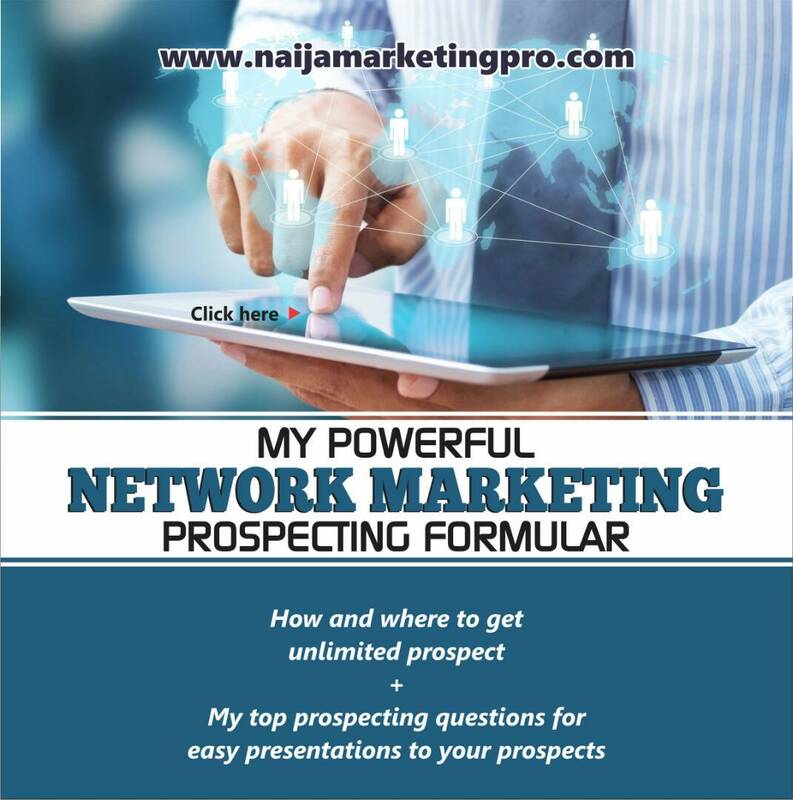 But, what kind of action especially if you are a network marketer can you do that will kill the thought of quitting on your business? Go to training events, listen to podcast, read Naija Marketing Pro posts, meditate, exercise, go make a sale, recruit a new team player. No matter what you do, if you are still on your business and doing nothing, the harder it will be to kill the thoughts of quitting. 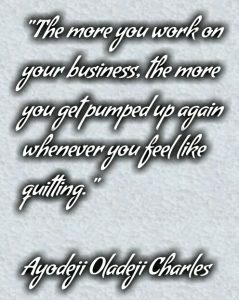 The more you work on your business, the more you get pumped up again whenever you feel like quitting. Whenever you feel like quitting, you need to get out of that state immediately and go do something on your business that will give you satisfaction and recharge on your business. « SIMPLE WAYS TO GROW YOUR NETWORK MARKETING BUSINESS ONLINE. Glad you got value Mayowa.